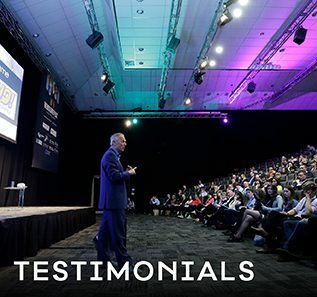 While facilities, head count, and location are upmost in organising conferences and events, sometimes making it memorable can be just as important. We’ve all seen articles of the Google headquarters or companies such as Deloitte who put forward that playfulness is integral in creative thinking and teambuilding, but integrating that into an event can be the last thing on the mind of the organiser. 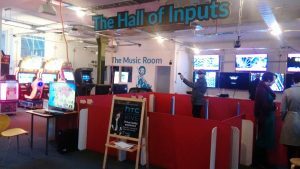 Luckily Nottingham’s National Videogame Arcade ticks all of these boxes, and you can leave it to them to inject that good dose of fun into your meetings and events. 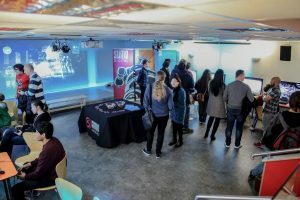 A truly unique venue for the UK, the NVA is a not-for-profit organisation existing to develop the role of videogames in culture, education and society by providing in house educational programmes, workshops and events. 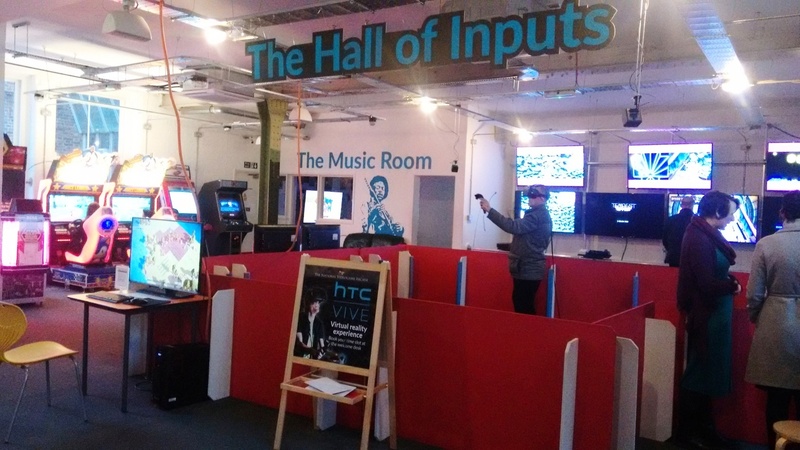 Set within a number of galleries, there are over 70 retro arcade machines and modern video games, from virtual reality experiences and CAD activities to classics such as Donkey Kong. 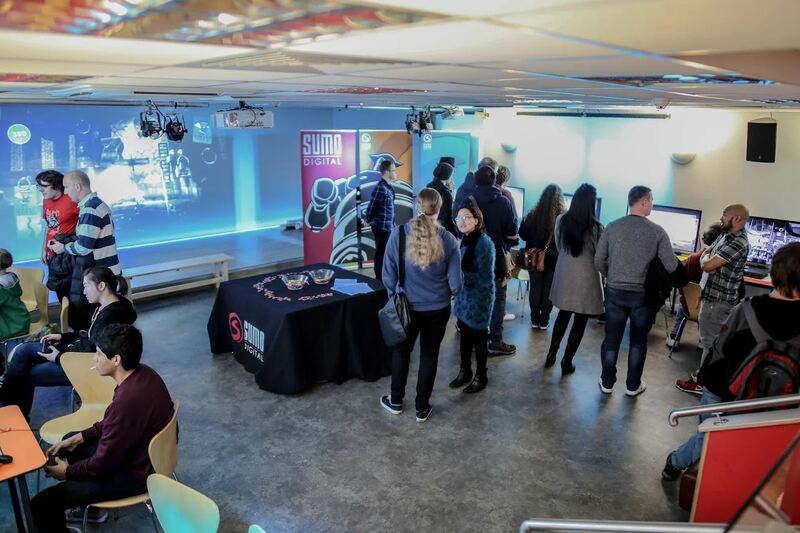 The centre also contains a museum and archive, a café bar, and several top notch event spaces for companies to hold events, meetings, workshops, and away days. 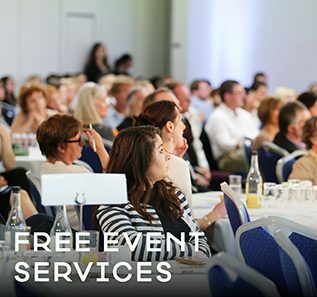 Having organised and played host to a diverse variety of events, the NVA team are well experienced in the needs of their visitors, and the service you’ll receive is professional and thorough whilst also being welcoming and down to earth. Past events range from SEN days for young people to corporate team building, gaming parties to specialist interactive installations. 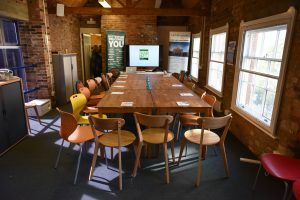 We were excited to be shown around by Corporate Events Manager Anne-Marie Parry, who demonstrated the duel functionality of the centre as a practical conference space and fun bespoke party venue. One of the most striking features of the building was the sheer size and unusual layout – a detail which almost mimics a videogame itself and affords the diverse choice of space available to choose from depending on your needs. 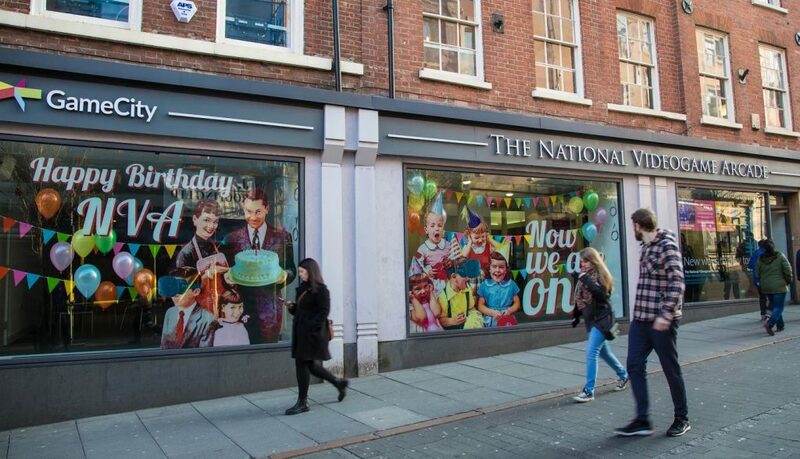 Situated in the trendy district of Hockley and The Lace Market, several times throughout the tour we were greeted by pleasing views of quiet rooftops and bustling streets below, which are home to numerous stylish independent bars and restaurants. This excellent location is just a short walk from Nottingham Station, but if you’re driving there are several secure carparks minutes away with discounted rates available. The Clubroom – A charming lofty function space complete with 60” LCD television, exposed beams and 19th century brick work. 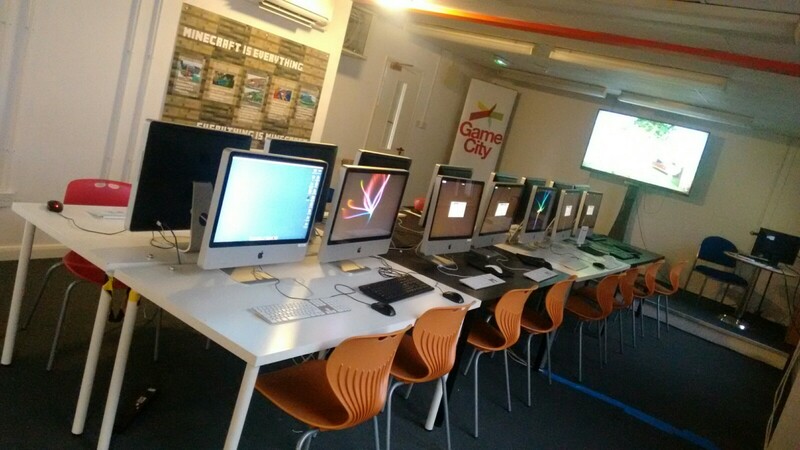 The Training Centre – Spacious and quiet, ideal for digital skill shares and workshops due to its 16 iMac computers. 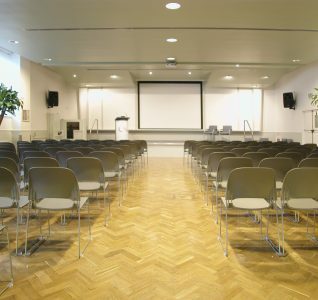 The Lounge – The largest of the NVA spaces with a 60 person capacity – great for screenings, presentations and large meetings, equipped with integrated sound desk and sound system. The Cantina – An informal, bright meeting room for 8 people equipped with Wii Mario Kart for a post meeting wind down! 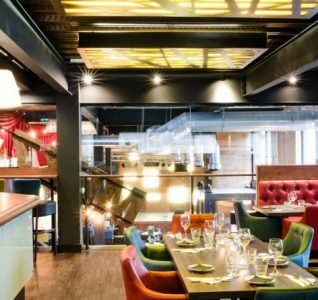 The NVA offers their own range of catering options from their Toast Bar on the first floor, which provides for almost all dietary requirements with light lunches, excellent coffee and a range of alcoholic drinks. If you fancy something a little more fancy however, they have teamed up with some of the best restaurants in the area to offer delicious evening meals to your request. To top off this great venue, there is the tempting option of hiring out the whole space for a gallery takeover. Blend a productive event with a work party and seamlessly integrate creative thinking, teambuilding and communication skills to get the most out of your guests. 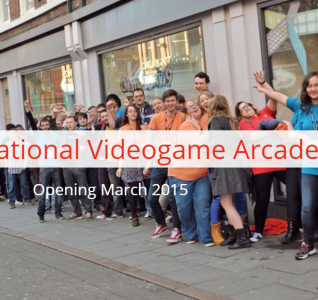 For more information about holding an event at the National Videogame Arcade, check out their Private Hire Brochure. Sophie joined the marketing team for Visit Nottinghamshire in January 2017. 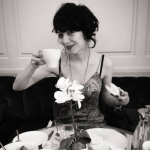 Having studied Visual Culture at Brighton University, she garnered an interest in the historical and cultural evolution of European cities, and after returning to Nottingham in 2014 began writing about local history and creative communities within Nottingham.